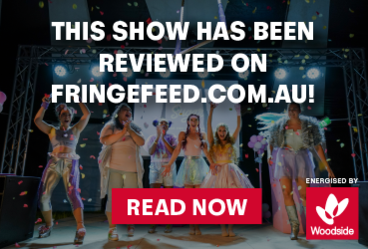 Laser Kiwi (NZ) combines high-calibre circus with unforgettable physical/sketch comedy. A wonderfully bizarre and thoroughly entertaining masterpiece. Full to the brim with innovation, you'll never guess what's coming next! After bringing their "Avant-garde, sometimes irreverent, sometimes naked extravaganza!" to Australia in 2018. These three award-winning Kiwi's had such a great time they are coming back! So grab your tickets, buckle up and come see what all the fuss is about.